Easter holidays and work has been all over the place – me off last week (unbelievable weather in Aberdeen – I know it doesn’t seem possible – Dundee and Edinburgh) and Al off this week (in sunny/windy North Uist). It means that we have to be smart with the way we are working and sending emails/messages to each other with things needing done. Getting lots of jobs closed down which is good as we are ramping up the work for Banchory. Being as today is the 13th of the month it means we have number three of our giveaways celebrating the DUFI Anniversary. 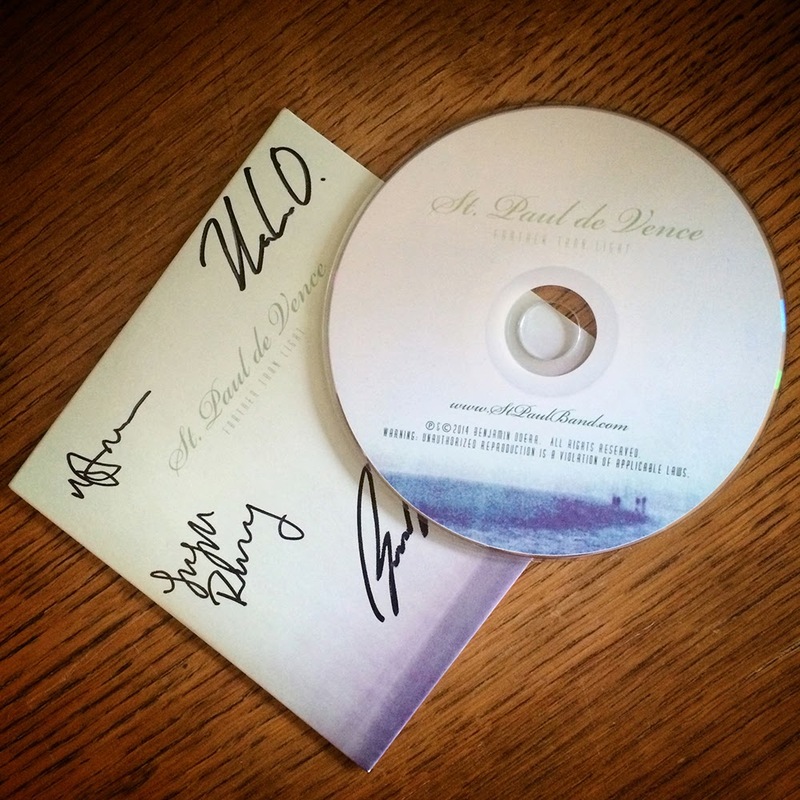 This month it’s a signed copy of a rather wonderful album by St. Paul de Vence. Based near Seattle they are an up and coming band garnering a lot of good reviews and touring throughout the U.S. West Coast. They used one of my polaroid shots I took back in 2006 for the album artwork and I really think the designer did a great job of working with it. Blog title has video link to a live version of one of the tracks…check it out. They are planning a European tour this year too – maybe get the winner free tickets to a show as well! All you need to do to be in with a chance to get your hands on this is follow us on Facebook, on Instagram(Al), Instagram(Fin) or Twitter. If you Follow us already then share, retweet (use #DUFIfree03), like, email us, visit us…whatever. We will let everyone know who the lucky winner is by next Monday and get it in the post.